Dallas Hospice Fraud Allegation Defense Attorney - Oberheiden, P.C. 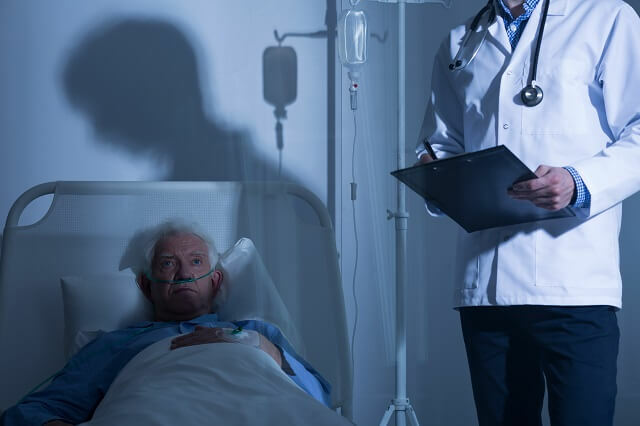 Allegations of hospice fraud are on the rise in the United States, and hospices are an area of extensive interest to the Department of Justice. Such cases may be investigated by the Office of the Inspector General (OIG), the Department of Health and Human Services (DHHS), or the Federal Bureau of Investigation (FBI). And while for years, these cases were primarily focused on civil investigations, recently criminal investigations and search warrants have become more common. As attorneys with years of experience in healthcare investigations and criminal defense, we expect this focus to continue for many years. In addition to the types of claims noted above, hospice fraud allegations often focus on billing for deceased patients, billing for tests and prescriptions not needed or not provided, falsified records, kickbacks, false or missing physician certifications of the need for hospice care, and failing to release patients from hospice if their condition improves. When you hire the attorneys and former government officials of Oberheiden, P.C., you will notice that we concentrate our defense against fraud charges by focusing on three core abilities. Industry Knowledge. We have industry knowledge. Because hospice fraud charges may often stem from billing and coding errors, intrinsic understanding of CMS protocols is critical. Don’t let misinterpretations of coding policies or missed updates to billing changes expose your business. You need attorneys that understand billing and coding violations. Our attorneys have analyzed, reviewed, and defended close to 500,000 billed claims. Similarly, if you are accused of certification errors, you need lawyers that understand the legal requirements of hospice certifications to get your case dismissed. Government Experience. We have government experience. The difference between liability and human error is often a fine line that requires convincing negotiation skills and attention to details. The lawyers and former government officials of the Oberheiden, P.C. have proven healthcare and law enforcement experience. Our attorneys have extensive knowledge and competence in handling any fraud allegations in the healthcare industry. Civil, not Criminal. We want to keep investigations civil, not criminal. Our attorneys are able to persuade the government that errors, if they exist, were not done intentionally and willfully, but by accident and human error. Doing so is critical because in each fraud investigation the government has two choices: to investigate you to seek recoupments or to prosecute and indict you and seek imprisonment. The law provides for both. Our Track Record. Our results speak for themselves. In the past few years, we have defended multiple healthcare providers in over eighteen investigations in which the ultimate result was a finding of no civil or criminal liability and the cases were dismissed.